Neil Young, like Bob Dylan, has so influenced so many musicians that it’s natural to focus on him rather than think of other bands. Harvest puts him in the singer/songwriter camp with James Taylor and similarly styled 70s artists—many talented and worthwhile but of a different stripe than Young. This is one Neil Young album that’s great at a party because everyone knows the music. For a somewhat commercial album, it holds up well and rewards close listening. A romantic comedy or a film set in the early 70s (“Heart of Gold”) or one about aging (“Old Man”). Here, Young does not use Crazy Horse, the band that plays on his previous two efforts, Everybody Knows This Is Nowhere and After the Gold Rush. He instead assembled a group called the Stray Gators with Jack Nitzsche on piano, Ben Keith on pedal steel, Tim Drummond on bass, and Kenny Buttrey on drums. A number of luminaries—including James Taylor, Linda Ronstadt, David Crosby, Stephen Stills, and Graham Nash—also appear. Time has been generous to Harvest,whichfeatures more lyrical depth than its outward romanticism may suggest. It’s also consistently well performed, with the star turns actually adding to the songs. 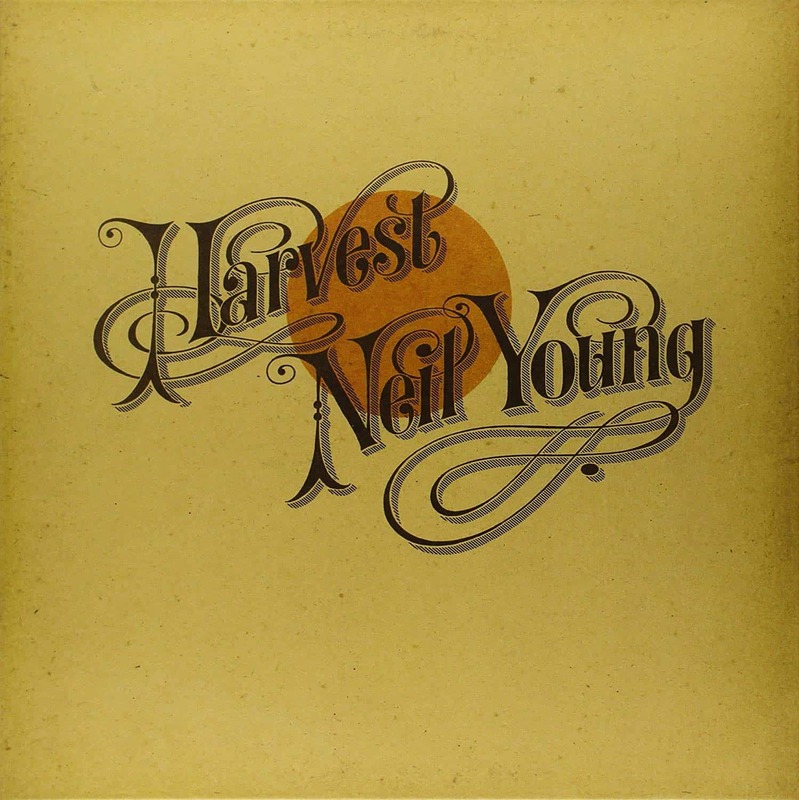 I compared the original and the 2009 Reprise pressing of Harvest to the very good Nautilus Super Disc edition from 1982. The latter is nicely balanced and well detailed, with more low-end resolution than the original. However, the 2009 version delivers a greater three-dimensional presentation of the recording space and more timbral accuracy on individual instruments and voices. The reverb on Young’s voice sounds more vivid and he is placed more securely out in front of the ensemble. Drummond’s bass on acoustic-guitar-based tracks, such as “Out on the Weekend” and “Heart of Gold,” sounds natural and full on my original pressing.But Chris Bellman’s mastering on the 2009 reissue gives it extra definition that helps clarify the attack. Buttrey’s snare drum also comes on stronger. Young’s acoustic guitar is warmer toned and more natural throughout. The slightly thin sound of his harmonica on the original pressing also benefits from more weight and impact. On the title track, the piano accompanying Young’s guitar in the right channel seems easier to hear, too, and Keith’s pedal steel arrives with more force. Its mournful chords underline the sadness in Young’s tale. On “Are You Ready for the Country,” Nitzsche’s slide guitar now cuts through with added sharpness and affords the music a more buoyant quality. The rollicking piano is also larger and more percussive. When Crosby and Nash contribute vocals near the end of the track, their voices are fuller and harmonies clearer. During “A Man Needs a Maid,” the lower register on Young’s piano feels more emphatic, which makes for a less-abrupt transition to Nitzsche’s arrangement for the London Symphony Orchestra. Here, the orchestral sections are definitively placed and the strings rich and deep. Other elements, such as reeds and percussion, benefit from more clarity and precise location in the soundstage. The string arrangement is also enriched on “There’s a World.” Yet, while “A Man Needs a Maid” now sounds more impressive, “There’s a World” remains overdone and unsatisfying. By contrast, “Alabama” still may come across as an unsubtle retread of “Southern Man,” but it works well as a rave-up. Its guitars cut deeper on the Reprise pressing—particularly the rhythm parts, conveyed with palpable tube-amp heat and buzz.